Bring a friend and enjoy this very exclusive home boutique show. There will be free yummy treats and wonderful handmade goodies to buy. It’s one day only so mark your calendars! Saturday, October 25th from 10a.m. to 4p.m. 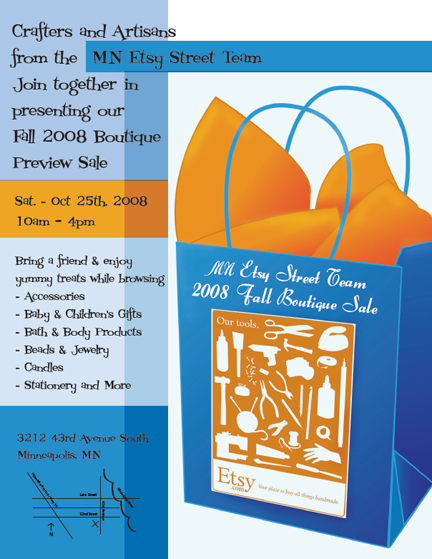 The sale will be held at 3212 43rd Avenue South, Minneapolis from 10am-4pm.